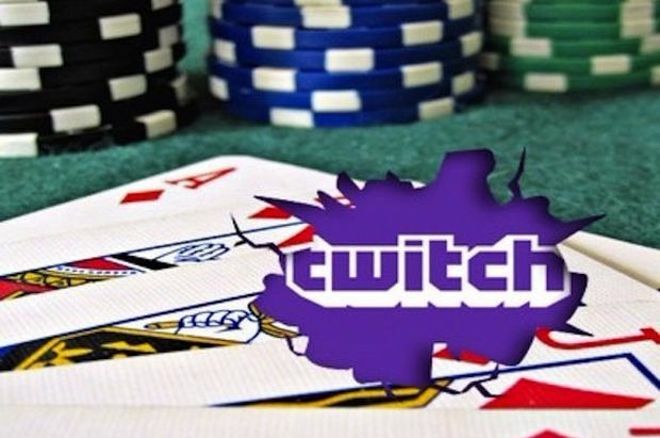 What is Twitch Doing for Poker? While we may not have seen the poker boom yet, it's coming. By now almost every poker fan is aware of Twitch, a video gaming platform and community created by gamers for gamers. It took a while for them to allow poker to be streamed on the platform, primarily because Twitch saw poker as gambling, not gaming. Despite his often haggard, basement boy appearance bearing a closer resemblance to Jeff Albertson than Tony Dunst, Jason Somerville has often been at the forefront of educating people on the luck vs. skill argument. Of course, Jason is not alone in this with the likes of Negreanu leading the charge for legalizing online poker across the United States. It came as no surprise that when Twitch finally gave the greenlight, Jason was the first to see the huge potential this could have on helping to rebuild and grow the declining popularity of online poker. For those that are yet to read Mike Sexton's fantastic Life's a Gamble let me help explain what, in reality, caused the poker boom. Let me help explain what, in reality, caused the poker boom. People mistakenly point to Chris Moneymaker's 2003 WSOP Main Event win as the defining moment behind the poker boom. Don't get me wrong, an amateur beating the field following his mistaken registration to an online satellite did no harm to poker's popularity, but his win was more the cherry on top. You see Chris' victory came shortly after poker hit the mainstream media. Mike Sexton, alongside Steven Lipscomb and Linda Johnson parlayed the success of partypoker airing their poker cruise on the Travel Channel into launching the WPT. The first episode aired on March 30, 2003, months before anyone had heard of Chris Moneymaker. The mainstream exposure and use of hole cams made poker a viewable spectacle, the true definition of reality TV where there are no scripts and the unknown player could outlast the seasoned pros. Just ask Gus Hansen. Was Chris Moneymaker watching the WPT when he loaded up the $39 PokerStars tournament? I haven't asked him, but it wouldn't surprise me. What I'm getting at is that TV exposure was fundamentally the main reason for the poker boom. We all know what happened with Black Friday (1 and 2) and however you view the decision, the impact on poker was substantial. Gone were the days of High Stakes Poker being televised. As the ability to play and watch poker from the comfort of your own home decreased, a void was left. TV exposure was fundamentally the main reason for the poker boom. PokerStars did a fantastic job in introducing live streams for their EPTs and part of their success was finding the right personalities. James Hartigan was relatively unknown, and Joe Stapleton was familiar to the Huff and Stapes audiences; however, when it came to poker commentary, they were a roll of the dice. it worked out, and once again the poker junkies had something to binge watch. Whilst I personally love the EPT live streams, the truth is that it is created to entertain and rarely educate. The utilization of professionals in joining the commentary booth is great but sometimes their thought processes go over the heads of the majority of the audience. The gap remained for those seeking precise thought processes combined with an entertaining offering. Jason Somerville took it upon himself to pick up the ropes from the Mike Sextons of the world. Not just having a vision that others didn't see, but acting on it. Jason's stream caters to both the poker players and the general Twitch population. He is more than happy to talk through his thought processes on a level that all can understand and will answer any question. He is a valuable ambassador, however, due to assisting PokerStars in their growth in New Jersey, he isn't always playing at the stakes that cause fellow basement boys to sweat along as tens of thousands change hands. Jason has subsequently gone on to surpass 10 million views on Twitch. An incredible feat. Following in Jason's footsteps came Jaime Staples, Nanonoko and Tonkaaaap. All offering their unique styles and commentary. Tonkaaaap doesn't hold back and can often be seen toasting his wins with a drink or two whilst Jaime Staples is more of the boy that you'd introduce to your parents. People are developing an interest in poker due to the ability to sit in your pants at home watching poker. Regardless of their willingness to broadcast their poker playing, their commitment to the cause is extremely valuable. Sure they make money through the subscriptions, but can you really hate on that? With the increase in Twitch popularity comes an increase in poker fans, and once again we are at a stage where new people are developing an interest in poker due to the ability to sit in your pants at home watching poker. While we may not have seen the boom yet, it's coming. As with 2003, the foundation for the boom has been laid down and another event is a surefire thing to see poker hit the heights once again. I'm looking at you California legislators. Don't you want a piece of this lucrative pie?